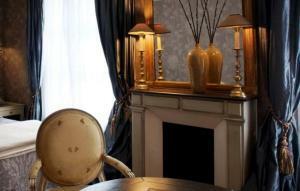 Located in Paris’ 8th district, the elegant Hôtel du Romancier is just 100 metres from the Champs-Elysées. 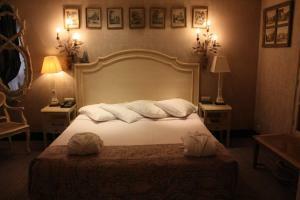 It offers massage treatments and air-conditioned accommodation with a balcony or patio. 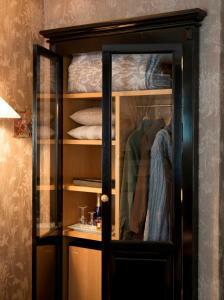 Free Wi-Fi access and a flat-screen TV with satellite channels and DVD player are provided in each guest room. 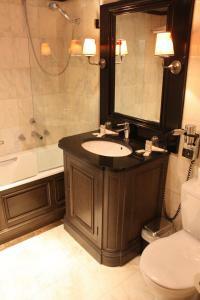 Rooms also have a seating area and private bathroom with bathrobes, amenities and slippers. Hôtel du Romancier serves a breakfast buffet in the dining room or on the patio. Packed lunches can be provided upon request and all guests have access to a communal kitchen with a fridge and kettle. Staff are available 24 hours a day and tours and show tickets can be bought from the ticket desk. Car and bicycle rental can also be arranged on site. George V Metro Station is 300 metres from the hotel. 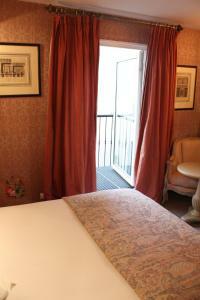 It offers direct access to Place de la Concorde and Le Louvre. 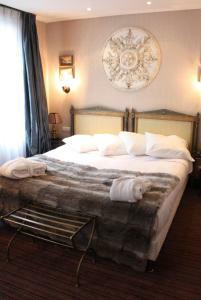 The Arc de Triomphe is a 5-minute walk away. Please note that this hotel shares an entrance with the Hotel Chateaubriand. 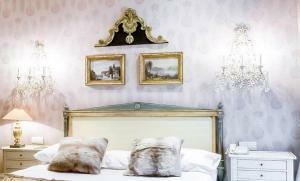 This room offers free Wi-Fi access, an en suite bathroom and minibar. Rate: € 217.00 ... € 1089.00; select dates below to get current rates. 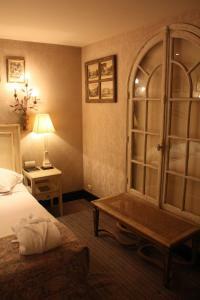 This room offers free Wi-Fi access, an en suite bathroom and minibar. Two single beds can be provided upon request. This facility needs to be confirmed with the hotel.